Dental bridges are an effective way to close the gap of missing teeth. 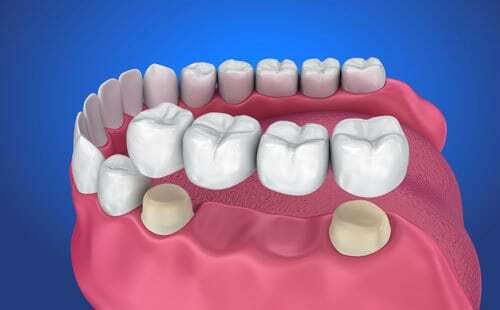 A bridge is a false tooth that is usually anchored by two crowns on either side of the gap. The bridge, unlike a denture is cemented in permanently. This allows to have a tooth that looks and feels natural.